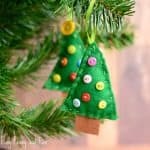 This Fingerprint Christmas Tree Salt Dough Ornament is a quick and easy microwave craft that makes a great keepsake AND gift! 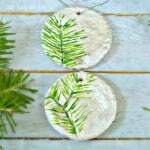 I shared a pine stamped salt dough ornament a while back so we’re keeping up with the “Christmasy tree” theme. 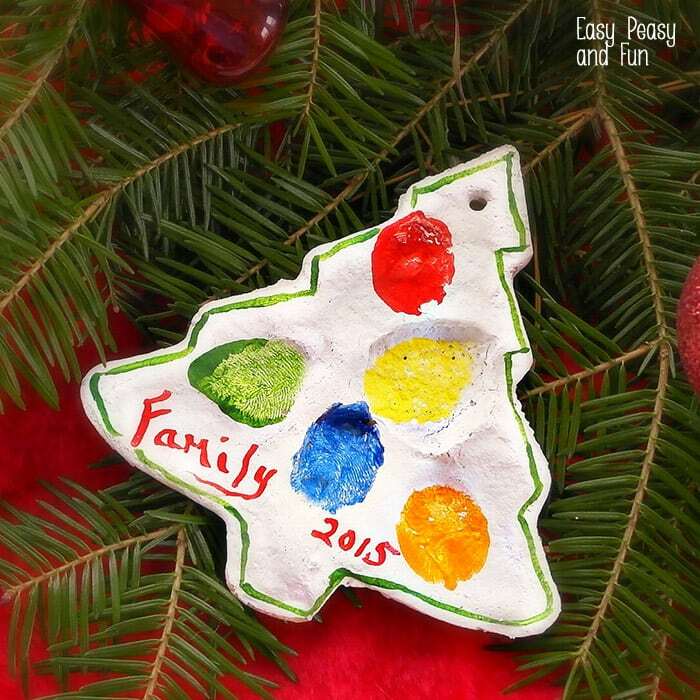 A quick and easy microwave thumbprint ornament that makes a great keepsake AND gift! Mix the recipe for salt dough and form into a soft ball. Using a rolling pin, roll dough out to about 1/2 in thickness. Cut out the amount you need, recipe should make at least 5 trees depending on cutter size. Use something round to poke a hole at the top, this will be used to string your ornament. 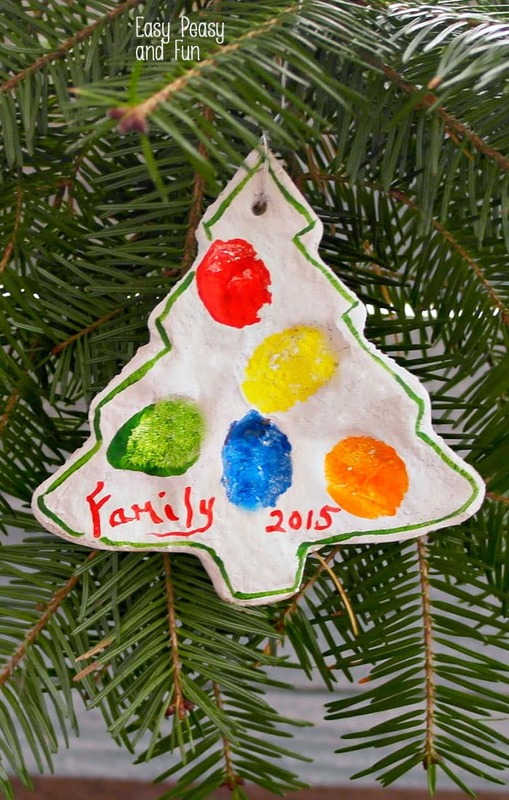 Have each family member press down gently on the tree to imprint their fingerprint. Place trees on parchment paper and microwave for 15 seconds. Repeat for 15 seconds more at a time until dough hardens. Allow to cool completely before painting. Choose a color to paint the tree, let dry. 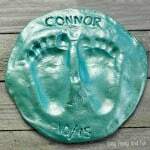 To paint the fingerprints, brush paint over the finger and press down lightly over the spot that each family member had pressed before it was cooked. 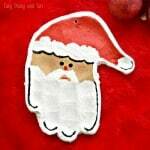 Can’t get enough of salt dough? 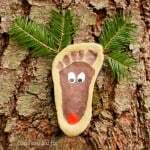 Why not make this footprint Rudolph ornament. 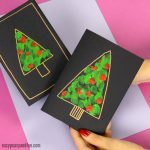 If your kids love simple crafts you just have to check these Christmas cupcake liner crafts.